The view from the room was really nice, saw great sunsets! The room was spacious and clean. The staff very friendly and helpful. However, the shower was below par with zero power (sometimes the water simply stopped) and it had an odd, eggy smell to it. The noise from the road was super loud as you're right on a corner where all the tricycle and scooters beep. The mattress wasn't a mattress at all but a fold-out futon which wasn't very comfortable. The AC worked well but was crazy loud - we actually used this to drown out the road noise and slept with earplugs (it was the lesser of two evils). All in all an okay stay but wouldn't go back and wouldn't recommend. Maybe a room higher up the hill would be better. There is no road access to the hotel. You get dropped off in town and then walk about 200m across a sand beach (which washed away during the storm the night before we left). You then walk around the corner for another 10 minutes to access the ‘reception’ where there is no one to greet you. We were lucky that a person drove past on a bike asking where we were looking for. Just so happens he worked for the hotel. Gave us the key and took us up 200 steps to the room. The room had no air con. The bed sheets didn’t fit the bed and appeared dirty. There used to be a ceiling fan and air con. Holes in mosquitos screens. The tv didn’t work. We weren’t given access to the internet. When we checked out there was not a staff member anywhere, so we left the key at the bar. 0 star rating. No thrilled in any way shape of form. So much potential but failed on everything. Do not book this hotel. BOOK SOMEWHERE ELSE!!! I booked two nights here and was extremely disappointed. I've never written a negative review before as I normally read them and think they're bias and opinionated. However, if you are planning to stay here in the near future then DON'T. I received an email the night before we were arriving saying that there was construction happening on the restaurant in front of our room. That was an understatement, the whole facade of the building had scaffolding around the outside, there were building tools and materials, wires and metal poles scattered all over the place. When we got into the room our 'water' view turned out to be of roof with at least 5 workers sitting ontop of it peering in at eye level. The most disappointing part of this is the manager Nick suggested if i wasn't happy, for us to look for other accommodation. He directed us to another spot and assured me that i would get a full refund. I haven't heard back from him since. DO NOT STAY IN THIS CONSTRUCTION SITE! Making the reservation at Agoda we made a mistake and took an extra day . The manager who was there told us that there was no problem and that they would return the money. This was in August and since then we have written numerous times to both Agoda and the hotel email without receiving any response causing us to waste our time, money and patience. They promised a refund and they did not even answer us. Very upset with the treatment received. Apart from this the hotel leaves much to be desired in the price-quality ratio, the room was very old and all the furniture on the terrace was broken. But the views, the location and the breakfast (not included) are really good. Booked here for satellite tv and WiFi, but there was neither of these at the resort. Had been cancrll ed but hotel info says they have. Great view from the deck, but lots of updating needed in the room! Lack of information coming from the staff (did not informed us that there was no electricity). No food restaurant near the hotel. Hotel restaurant is open only on peak season. Place was old and a little dusty. Cignal for TV was not working also. 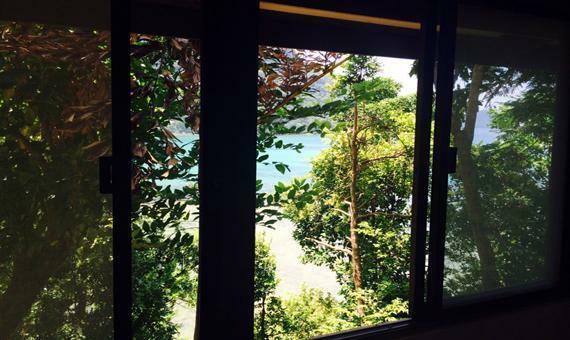 100 steps before reaching the room but the view was exceptional. not even freshwater. won't go there again. 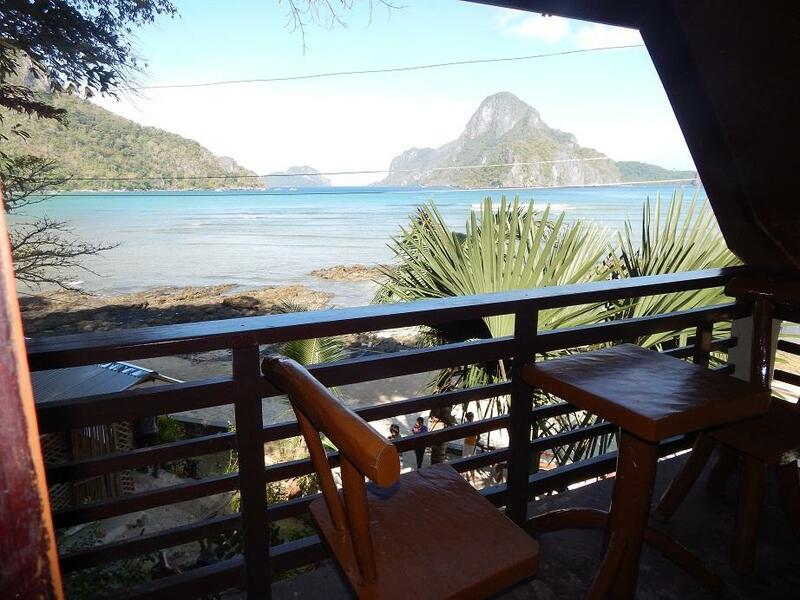 you can find a lot of better places in el nido for such a price. avoid taking the experience. If you stay here just make sure you are one with nature a little bit. 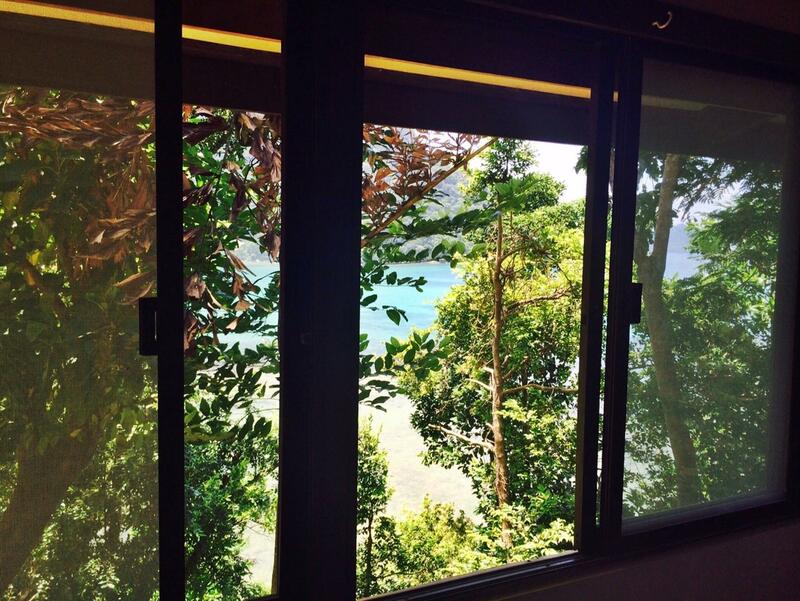 Staying in the Loft Room had some of the greatest views of El Nido. A little trek up the stairs but well worth it. Definitely would recommend the Loft Room! Our stay wasn’t our favourite on our trip. We had a million dollar view from our room which was amazing! It is up a big hill (worth the excersise up) but wouldn’t recommend if not fit and able. It wasn’t the no wifi, or the power and water continuously going out that bothered us- it was the ants and stained towels and sheets that put us off. However some of the other properties we walked past in El Nido looked worse off, El Nido is definatley a place that you have to have an open mind for and not expect any luxuries in general so overall we were happy enough with the stay, and wouldn’t stay again in low season but high season we properly would when the bar and restaurant is open and other guests are actually around- as the public area at the bottom of the hill seems like it would have cool vibes. 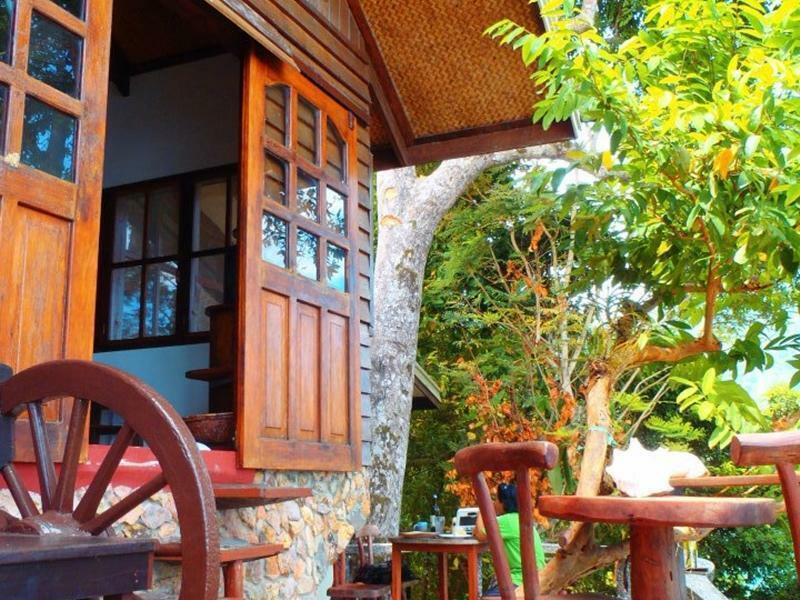 Yes, Makulay Lodge tries its best to satisfy its guests and clients in its most unique way. 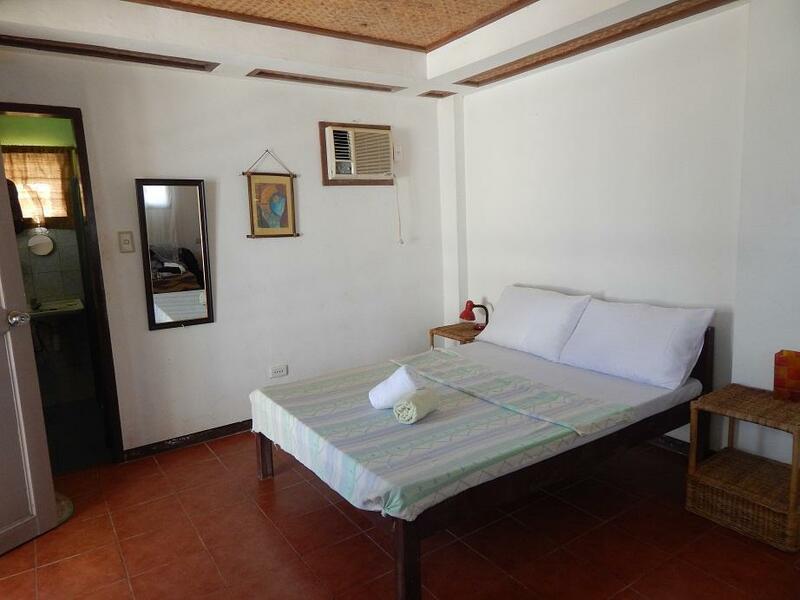 See, the property is quite far away from the busy El Nido port, providing a quiet and soulful stay in the area. It is a stand alone on the opposite end of the strip, which gives their clients a unique experience away from the loud and the crowded. The staff is very friendly, approachable and helpful. Makulay Lodge also has the best view in the strip. That being alone in its area provides a great view of the towering mountain islands, and the sea. 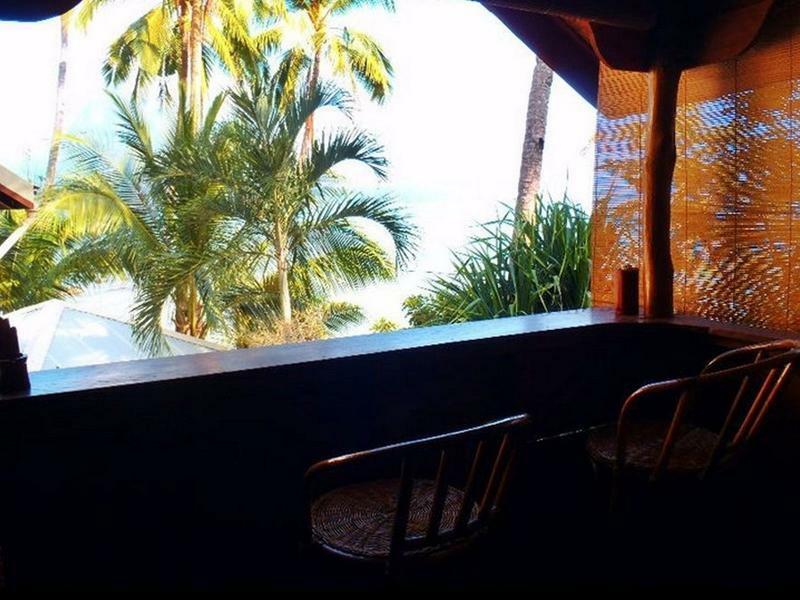 Our room has a veranda, which makes the experience quite extraordinary. We'd dine and spend time watching the boats pass by the sunset, melancholic yet worth the while. Apart from a 10-minute walk from the main road, WiFi is poor to non-existent. Globe signal is very intermittent, too. Oh! And the menu's quite pricey. Very friendly staff who were most accommodating and great location just away from the busy main street. Lovely staff and most importantly, a quiet place to stay at!! Lovely! It's a really great place with the sea's vieuw ! Good things first: The view was really good from the loft room. Faith, the receptionist was also a sweetheart. Cons: The room reeked of an old, moldy smell, and the bathroom and cabinet under the sink was so dirty. Linens were already turning yellow and pillowcases doesn't even match. There was very low water pressure when we arrived, and it turns out that they didn't fill the freaking water tank. To add to the injury, my companion fractured her foot because of the 200-step steep stone staircase ( and they said it was just 100 steps) that wasn't even brightly lit, because not one of the staff assisted her with her luggages, even if they were advised ahead of time that the client was supposed to check out at that exact time! They didn't even administer first aid or bring her to the hsopital or even offer to pay for the medical expenses!!! My companion's dream vacation is ruined because of this forsaken hotel! I will never recommend this place and warn all of my friends to not book with them unless they want their vacation to be ruined! Hello Tara, its so sad to see that you've written these things in anger, especially as you didn't actually stay with us. Your guests were very happy with the room and gave us great feedback throughout their stay. Unfortunately as they were rushing to check out (I think late for their transfer?) and took it upon themselves to carry their heavy luggage down the mountain and one slipped and hurt her back. We were horrified with what happened and the staff on duty did all they could to help, however your guests insisted we take them to the terminal right away, as they didn't want to miss their transfer. We hope she is on the mend now and can only recommend to take full advantage of 24hour concierge services next time, which include carrying luggage up and down the 100 steps (not 200) on our beautiful mountain side, where your guests were staying.